Tandoori chicken, when done right, is one of the most delicious things on earth. In Indian restaurants, it is marinated in spices and (often) yogurt, then cooked in a tandoor. The result is bright red, smoky, juicy, spicy chicken. My mouth is watering as I write. Now, traditional tandoori is bright red, but the color usually comes from artificial food coloring. While I love colorful food, I don’t love artificial anything, so I avoid masalas that have food colorings added. The result is a brownish tandoori, but what it lacks in color, it makes up for in flavor. 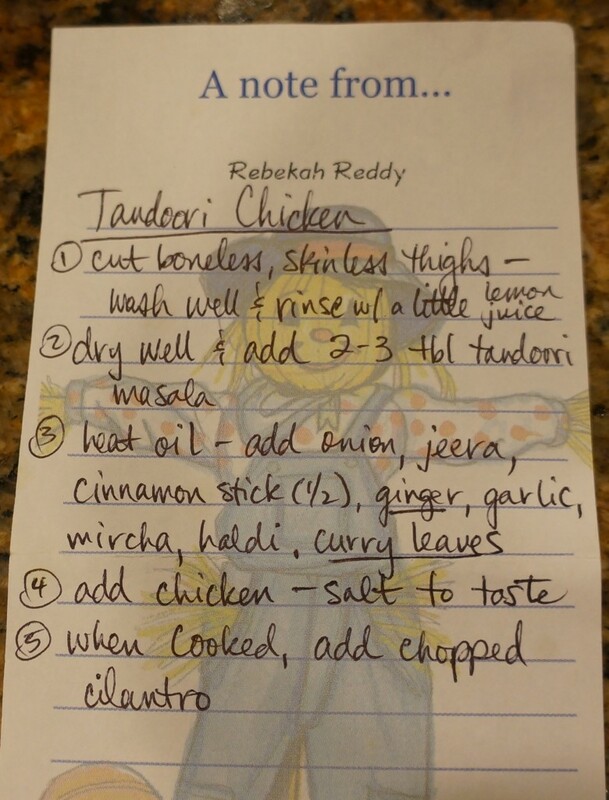 I’ve never made true tandoori chicken, mostly because I don’t have a tandoor. However, my husband’s auntie taught me a stovetop version that has become a favorite. When I first started making this, my husband would finish it within a day; now I make twice as much as I think we need so that there are some leftovers to enjoy. Thanks, Auntie, for giving us such a delicious recipe! As always, the ingredient amounts are approximate; adjust as needed to match your preferences. I’ve also included a milder version that I make for my kiddos. Serve it with some rice and an Indian-style vegetable. Enjoy! 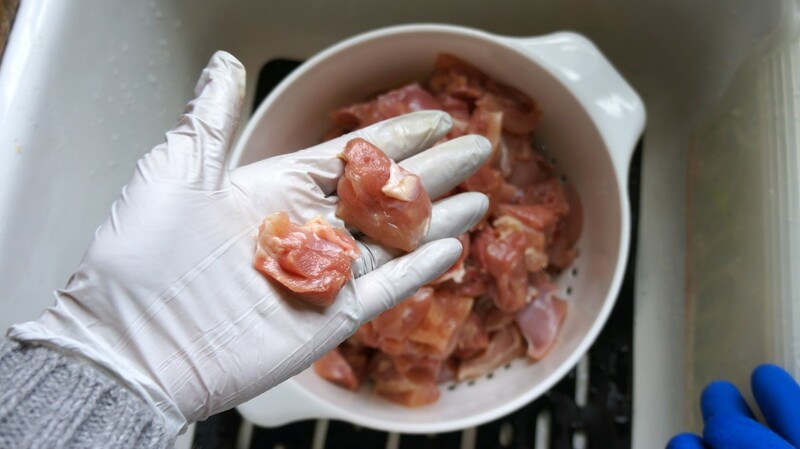 Trim the chicken thighs of large pieces of fat and/or bone and then cut into bite-sized pieces. Rinse well with cold water; drain and then pat dry with paper towels. 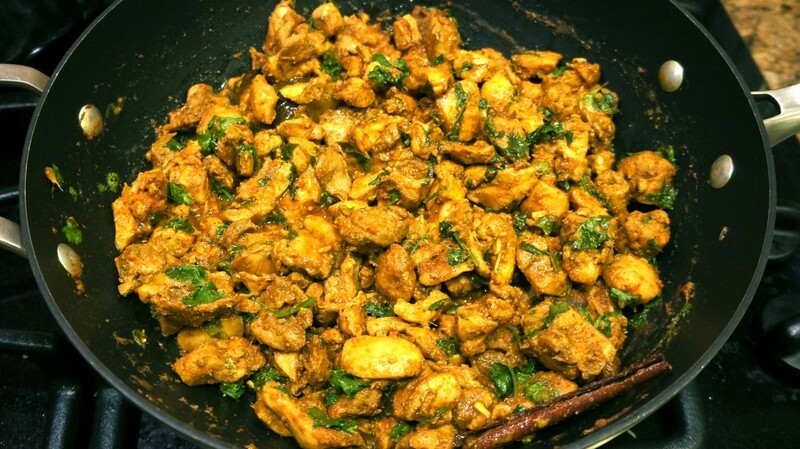 Put chicken in a mixing bowl and sprinkle liberally with tandoori masala (3-4 Tbsp.). Mix well so that the spices cover all of the chicken pieces. Cover and either let it sit on the countertop for 20-30 minutes or refrigerate for up to 4 hours. The longer it marinates, the tastier it will be! In a large skillet or pot over medium heat, melt enough coconut oil to cover the bottom completely about 1/8 inch deep. When oil is hot, add jeera mix; let seeds pop for a few seconds and then add sliced onions. Stir well. Let the onions cook until they begin to soften, stirring often enough so that they don’t brown too much or burn. After a few minutes, add in the cinnamon stick and curry leaves. When onions are almost done cooking, add in the ginger, garlic, ground mircha, and haldi. Stir well. Add in the chicken, stirring to coat it in the sauce. Add some salt to taste (just a little–you can add more later if needed). Cover the chicken and let it cook until it is done, about 30 minutes. Check it every once in a while to stir it and make sure it isn’t sticking to the bottom of the pan. You will know it is done when the meat is soft and splits easily when pushed with a wooden spoon. 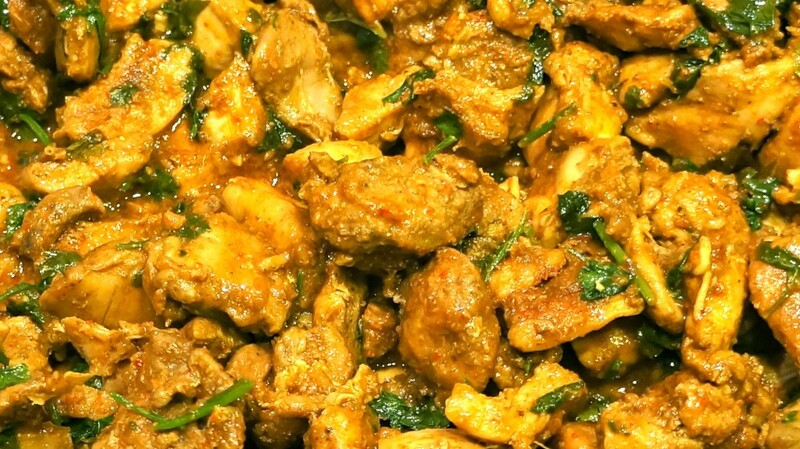 When the meat is completely cooked, add the cilantro, stir well, and then remove from heat. Note: If you want more sauce, keep it covered until it is done cooking. If you prefer it more dry (which is how B likes it), take the cover off about halfway through cooking. 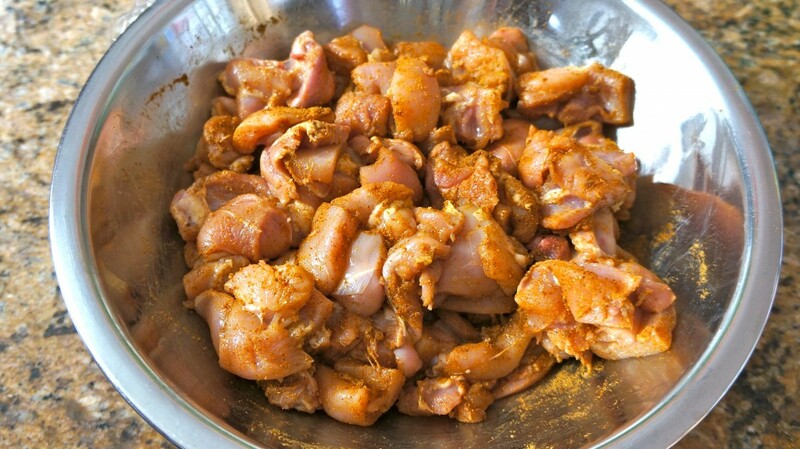 Mix the cut chicken with half the amount of tandoori masala. Heat a pan with coconut oil and add jeera mix and onions. 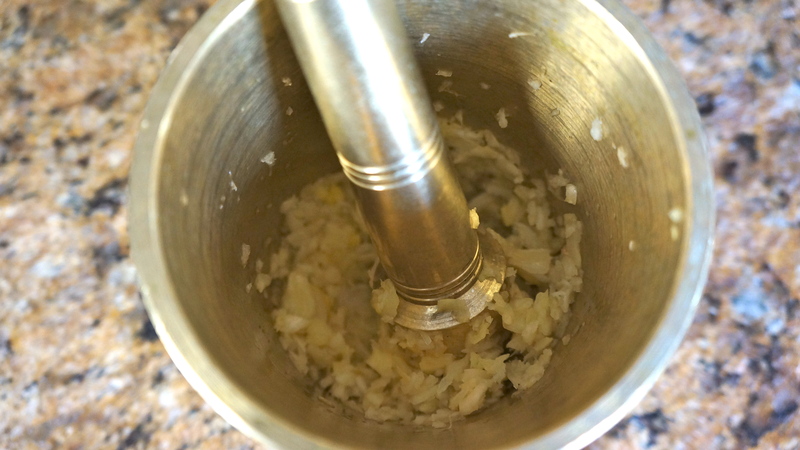 When onions are cooked, add a little garlic and haldi and mix to make a sauce. Add chicken and salt to taste. Cook until chicken is done. This post is linked to Kelly the Kitchen Kop’s Real Food Wednesday blog carnival. This looks amazing! I love Tandoori Chicken. This was delicious Rebekah, thanks for sharing the real thing and the food! I’m looking forward to making it for Toby soon. You’re very welcome! I’m so glad you enjoyed it. I hope it turns out delicious for you and Toby :). I like to cut up (joint) a large chicken and do this (lots of hrgnuy mouths here), that way I can pull out the parts that cook sooner. Also, I set the oven to 450F and cook it for 30 minutes, turning once.